Every day we are all exposed to some level of chemical fumes. Spray paints and household cleaners give off fumes. Different plastics and wood products in your home give off odors from adhesives and finishes, especially when new. But normally these fumes are at such a low level that they cause no problems. However, a number of people become sensitized or allergic to the fumes given off. Their bodies get overexposed to the vapors and become sensitized. From that point on, any exposure to even a minute amount of the chemical causes a reaction. The process of sensitization can make a home unlivable, or a job no longer viable, for people who become sensitized. If you work with chemicals, your risk is much greater. For anyone who has been in this industry for a while, most would know at least one person with severe allergenic reactions from even the slightest contact with fumes. I personally know of people who can’t be in the same BUILDING as fresh resins or epoxies. So that says that the warning labels on the products we use have to be taken seriously. Two of the most common reactions from exposure to industrial chemicals are occupational asthma and contact dermatitis. Asthma can occur when the body develops an allergy from continued exposure to a substance. Your body starts to identify the substance as a threat and activates your immune system to react. This is called sensitization. You don’t have symptoms at first because the sensitization process can take months or even years to occur. Symptoms start when your immune system begins to produce specific antibodies against the irritating substance. This, in turn, triggers the release of chemicals, such as histamine, which inflame the lungs and cause asthma symptoms. When fumes are heavy– for example in a room filled with paint fumes- sensitization can occur in hours. And then, once you are sensitized, even mild exposure causes a reaction. There is no universal definition of occupational asthma, but most experts would call it a new state of bronchial hyperreactivity secondary to some agent at work or reversible obstruction of the airways caused by inhalation of a substance or material used by a worker or present at his work. Asthma can be a pre-existing disease that is exacerbated by exposures at work, rather than having these exposures as the primary cause; this is not defined as occupational asthma but rather as exacerbation of pre-existing disease. *The most recent data states that around 10% of the general population have been diagnosed with asthma at some point in their lives. About 60% of asthma is classified “allergic” and it is estimated that up to 15% of all asthma is caused by occupational hazards. Sobering thought: globally, 250,000 people die from asthma every year. Asthma may develop as a specific sensitivity to one agent (or a family of related agents), or as a response to exposure to non-specific irritants. There is certainly a major role of the immune system in the development of occupational asthma specific to one agent. Occupational asthma has many causative agents, and more than one mechanism that results in the same clinical presentation. In asthma, there is dearly a role for both the immune system and direct inflammation. You can also develop emphysema over a long period of exposure, which will kill you, slowly, painfully, and debilitatingly, over years and years. Some products cause a reaction only when the skin is also exposed to sunlight (photosensitivity). These include shaving lotions, sunscreens, sulfa ointments, some perfumes, coal tar products, and oil from the skin of a lime. A few airborne allergens, such as ragweed or insecticide spray, can cause contact dermatitis. The hands are a common site for contact dermatitis. Itching of the skin in exposed areas is a common symptom. In the case of an allergic dermatitis, itching can be severe. Dermatitis caused by an irritant may also cause burning or pain. Irritant dermatitis often shows as dry, red, and rough skin. Cuts (fissures) may form on the hands. Skin may become inflamed with long-term exposure. What can you take away from this? Clearly, you do not want to become sensitized. When any outgassing chemical is being applied or is drying/curing – paints, foams, fiberglass, whatever – a high-quality, appropriately rated respirator is mandatory. These respirators are not that expensive… Protect yourself at all times. Try and work with dust extraction at all times, and wear masks. If you do not like masks, buy a full face mask with air supply. This keeps a fresh breeze over your face, so transpiration is less problematic as well. There are units for compressors, or with battery powered air pump with filters, which can be carried on your belt. You might look stupid, but in the end you are a winner. For people that are not affected it can be quite astonishing. Allergic reactions can do strange things to people.Sensitization does not apply to everyone, but it does apply to many. Polyurethane foam (SPF) insulation is a highly effective weatherization product. However, SPF foam contains di-isocyanates, and dermal or inhalation exposure to these chemicals can cause significant health risks, such as asthma and lung damage, if specific workplace precautions are not followed during product application and clean-up. Sensitization, in this case, is the state of being allergic to epoxy. Sensitization can occur at any point, regardless of how many times or for how long you’ve been exposed to epoxy. Your chances of being sensitized will increase if you’re exposed to a greater amount of fumes in an unventilated area, but even one episode of exposure can lead to an allergic reaction. This is why preventative safety is so important in regard to epoxy. Once sensitized, even small amounts of the substance can trigger allergic reactions and it will be increasingly difficult to work with the material. There is also no definite cure for sensitization, only methods to relieve the symptoms. Most people are not sensitive to epoxy. Many will develop a sensitivity with time, for some it may be 20 years, some only a couple of exposures and the unlucky few will get hospitalised after a single exposure. As for polyesters: These are known to cause contact dermatitis and respiratory problems. Although results of research programs is not completely clear, and some results are contradicting each other, styrene still is a product that cannot be totally cleared. It might only affect some people that somehow are more prone to this, but still, protection is your best option. What can be done by the users:-protect yourself. What can be done by employers:-protect your workers. Educate them in using Personal Protection Equipment, and make it available. Ask your supplier to do a presentation on personal protection. I still have to come across a supplier that is NOT willing to do this. -invest in the working space. Get good ventilation, install styrene suppresant spray units (a spray that bonds to styrene, making it harmless), invest in low styrene emitting materials (DCPD resins, LSE additives, AAP peroxides instead of MEKP), equipment (HVLP guns) or change to lower styrene emitting techniques (RTM, RTM Light, resin infusion). What can be done by the industry:The industry is not doing nothing. In contrary. Styrene content in polyester resins has gone down a lot the last decade. There are even some zero-styrene resins in the market (though at a cost).Epoxy producers are slowly abandoning some harmful ingredients, like nonylphenol. Sensitization to chemicals can be defined as changes in the organism, usually the immunochemical system, by exposure to a chemical such that further chemical exposure leads to recognition by the organism. Such recognition will lead to a response that is marked by a greater reaction at lower doses than what would be observed in non-sensitized individuals. This is usually called hypersensitivity. Inhulation of the antigen/allergen in an individual previously sensitized leads to an allergic reaction, such as rhinitis or conjunctivitis. If the skin is sensitized, as in allergic contact dermatitis, then contact will cause an oedematous response and/or a rash. Pulmonary (airway) sensitization manifests itself through bronchial constriction or obstruction. Some chemicals can produce different types of “allergy’. There are various known and hypothesized mechanism for sensitization. There are also host susceptibility factors, including genetic predisposition. There must be some differentiation also between irritation and sensitization. Irritants do not have the immunochemical recognition signal. Irritation in a non-sensitized individual usually leads to a slower, less serious response, at higher doses. This does not prevent irritants from producing or enhancing inflammation, which can be prolonged, and which can produce hypersensitivity reactions (e.g., bronchial hyperreactivity) when stimulated. There are about 10-20% of almost any population which show greater “sensitivity” to irritants, which is usually organ (e.g., eye) specific, by responding at lower doses. Chemicals have different potencies as sensitizers, not entirely dependent on the mechanism of sensitization. Platinum salts have a very high potency (i.e., up to 95% properly exposed become sensitized) while formaldehyde has a low potency (i.e., 1-5% properly exposed become sensitized). Basically, the B cell IgE forms antibodies to certain antigens/allergens that are inhaled, absorbed, and/or ingested. This is the recognition (and sensitization) phenomena. Specific IgE then persists in the sensitized. This usually leads to subsequent release of histamine, chemotactic factors for platelets and other active cells. This starts a chain reaction which leads to the hypersensitivity response, and can lead to inflammation. Sensitization can occur in the lower respiratory tract, usually called hypersensitivity pneumonitis (or extrinsic allergic alveolitis), such as isocyanate disease. Some of the other known IgE-mediated chemical hypersensitivities are platinum and nickel salts, cobalt, other isocyanates (in addition to TDI), other anhydrides (in addition to TMA, such as phthalic acid anhydride), organic acids, various metals/metal salts. Certain antigens can sensitize non-atopics as well (e.g., platinum salts, castor bean dust), as can certain common chemicals (e.g., ozone) or mixes (e.g., diesel exhaust, including with HCHO). One has to consider the triggering mechanism in predisposed individuals, such as specific triggers of inflammation (Asthmatics and those with BHR, or those with such predispositions may be such susceptibles. It is claimed that those with autoimmune disorders (e.g., Lupus/SLE, rheumatoid arthritis-RA) may be predisposed also. Whatever the mechanism, inflammation (in airways, skin, possibly other organs) appears to be a key trait in many sensitization conditions The release of oxidants, such as hydrogen peroxide (H202), as with exposure to formaldehyde, and superoxide union from these cells is a key contributor to damage and responses, occurs more in sensitized organisms, and can occur with immune complexes. The lack of sufficient, effective antioxidants could be a mechanism of sensitivity (as in those with genetic defects, such as those who have little or no ceruloplasmin). It is interesting to note that only scarce airway inflammatory cell activity has been reported in at least some asthmatics between attacks. Airway inflammation is probably the main cause of bronchial hyperreactivity by itself or by contributing to bronchial obstruction (although obstruction can occur by other mechanisms). The increase of airway or skin permeability, permitting processes that lead to mast cell or basophil degranulation, leads to mediator release. Mucosal edema, an aspect of inflammation, call increase epithelial permeability, alter smooth muscle dynamics, and stimulate neural pathways. Macrophages are major cells in acute and chronic inflammation, immune responses including the complement system and immune deficiencies, are involved in hematopoesis and coagulation, and promote proliferation of many other cells. They present antigen to T cells. They release plasminogen activator and classes of toxins such as neutral proteases. Exposure to lymphokines is part of macrophage activation. The hypersensitive also may use a different pathway that essentially does not exist in the general population (as stated also by Burrell, and partly discussed above), which may be genetically determined. This may relate to inflammation directly, or to BHR (which appears to be, at least as far as entrainment, an independent genetic trait). Formaldehyde is ubiquitous, especially in the indoor environment (Table 1). Formaldehyde is regarded as a upper respiratory irritant because it has a high solubility in water and is therefore captured by the wet mucus membrane. Retention of inhaled formaldehyde is shown to be almost 100% at the inhaled site in dogs. Exposure of a half hour to an hour is all that is needed to produce primary irritation; there is a dose response. The lowest concentration causing pharyingitis is said to be 0.5 ppm. Exposure to concentrations of formaldehyde gas of 0.1 ppm causes general irritation of the upper respiratory tract and other symptoms in children. Concentrations from 1-5 ppm provoke coughing, constriction in the chest, and other symptoms (Loomis, 1979; NRC, 1981; Bardana, 1980; and Walker, 1964). Tolerance to eye and upper airway irritation may occur after I to 2 hours of exposure. However, even if tolerance develops, the irritation symptoms can return after I to 2 hour interruptions of exposure. Ingestion usually leads injury to the larynx and trachea, gross effects on the GI tract, pneumonia, hardening of the lungs, hyperemia and edema of the lungs, and systemic damage. Increased mucolytic (decreased ciliary) activity has been shown related to formaldehyde exposure in animals ill various studies. Adaptation is known in other contexts as ”acclimation” or “acclimatization”, “habituation”, “developing tolerance” and even “addiction”. Randolph used the terms “adaptation” and “addiction” most often. However, reference to one of the other words may make it easier to grasp the concept. “Acclimatization” is a widely used term in occupational health that refers to workers gradually becoming accustomed to exposures on the job, for example, heat stress. Understanding adaptation is important for two reasons: (1) adaptation may interfere with the discovery of the effects of a particular exposure on the body and (2) chemical exposures may adversely impact adaptation mechanisms and thus lead to illness. That human beings respond to chronic exposure to environmental challenges by adapting, acclimating, acclimatizing, or even becoming addicted is widely recognized for a variety of substances. Most would agree that the use of narcotics, alcohol, nicotine, and even caffeine can be addicting. For example, the first cigarette ever smoked might be associated with eye and throat irritation, but over time, with more cigarettes, most individuals adapt, and primarily the pleasurable effects of nicotine on the brain are experienced. After months or years, more cigarettes (or alcohol or caffeine or drugs) may be required for the same amount of lift. The individuals may exhibit addictive behavior, seeking cigarettes more frequently. Subsequently, quitting cigarettes (or alcohol, caffeine, or drugs) may lead to withdrawal symptoms including irritability, drowsiness, fatigue, moodiness, and headache. The reformed smoker may become extremely intolerant of the smoke of others, even in tiny amounts. Suddenly recalled are the irritation and unpleasant feelings associated with the first cigarette ever smoked. Over time the individual had “adapted” to those effects. Adaptation, which on the surface would seem good for the organism, may in fact be a two-edged sword. Developing tolerance for the noxious properties of the exposure may allow the individual to remain in the exposure more comfortably while other harmful consequences of the exposure continue. Thus the heavy smoker who is “adapted” to tobacco smoke is at increased risk for developing emphysema, lung cancer or vascular disease. While often occurring at much lower levels of exposure than the above examples, food and chemical adaptation and addiction have been observed by some physicians in their patients. ha the case of MCS patients, multiple incitants, not only tobacco smoke, may be involved and all may need be avoided simultaneously for improvement to occur. 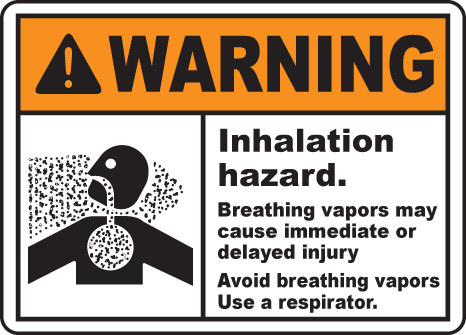 Thus, frequent exposure to a substance results in adaptation (irritation and other warning signals may disappear). Continued exposure may lead to addiction. Reduction or cessation of exposure generally results in withdrawal symptoms. What may confuse patients and practitioners is that the symptoms for which the individual is most likely to seek a physician’s help are those that occur during withdrawal when the person is no longer exposed (or is less exposed) to the offending agent. Thus headaches may occur when the individual smokes fewer cigarettes than usual or drinks less caffeine. Indeed, these unpleasant withdrawal symptoms may be forestalled by smoking another cigarette or taking another drink of coffee, thus perpetuating addiction. Patients may report that smoking a cigarette or drinking a cup of coffee in the morning (after 8 or so hours without) relieves their headache (a withdrawal symptom) and they feel better, not suspecting that the cigarette or coffee might also be the cause of their headache. Occupational health presents many examples in which acclimatization, inurement, or tolerance to a substance is known to develop, for example, exposure to ozone, nitroglycerin, and solvents. Note that the incitants mentioned thus far are all quite different from one another: some are ingestants, others inhalants; some are solid, others liquid or gaseous in form; some are simple molecules, whereas others are complex mixtures. The point is that the human body appears able to adapt to an endless array of substances. In real life, stimulatory and withdrawal reactions are observed but often not understood. For example, an asthmatic might feel well after spending a week on a Carribean island, breathing relatively uncontaminated air and eating a diet devoid of usual foods, only to have a severe, life-threatening asthmatic response to exhaust from the engine of a boat taking the individual home. Once back home in a metropolis, the asthmatic readapts, acclimatizes to auto exhaust, combustion products and other air pollutants in the area, and experiences only chronic wheezing. Thus, following deadaptation (removal from incitants), the individual exhibits a more acute and convincing reaction upon reexposure. So acute and convincing are some of these reactions that patients themselves erroneously (at least in the eyes of some) surmise they must have an “allergy” to a particular substance. However, if the patient is not de-adapted (unmasked) when tested, a reaction may not occur, convincing the physician that the “allergy” was all in the patient’s mind. Occupational health has several widely recognized examples of adaptation. Industrial hygienists and occupation health physicians know that one of the most valuable clues to work-related illness is a history of intense symptoms following return to work after a vacation or weekend (leading to withdrawal and deadaptation). Those who have painted or used solvents to any major extent are well aware of the olfactory fatigue (nasal adaptation) that occurs and may have experienced the stimulatory and depressive properties of solvents. Alcoholic beverages contain the solvent ethanol, which has related and familiar stimulatory and withdrawal effects. Individuals with or without multiple chemical sensitivities undergo adaptation to a wide variety of substances in their environment. What is not dear is the specific role adaptation plays in the dramatic responses patients with chemical sensitivities have to low-level exposures that do not overtly affect others. These concepts are familiar to occupational health practitioners and industrial hygienists because they observe such effects firsthand among workers exposed to chemicals. Randolph states that most physicians see patients long after adaptation has occurred and at the time when end organ damage is setting in: “It is much as if the physician arrived at the theatre sometime during the last scene of the second act of a three act play-puzzled by what may have happened previously to the principal actor, his patient”. Symptoms of exposure to many chemicals, whether inhaled or ingested, appear to follow a biphasic pattern. Adaptation is characterized by acclimatization (habituation, tolerance) with repeated exposures that result in a masking of symptoms. Withdrawal occurs when exposure is discontinued. Once a person has adapted, then the experimental consequences are that further exposures have very little additional effect and therefore may not be observed. The observer may not be able to witness the stimulatory or reactive event because a kind of “saturation” effect has set in. Adaptation and withdrawal occur for a wide variety of organic and inorganic substances in many physical forms, including various dusts and fumes, solvents, nitroglycerin, ozone, drugs and foods. An individual is exposed to a variety of substances at different times with varying frequency, duration, and intensity of exposure for each of these substances and with varying frequency and duration of reduction in or cessation of exposure for each substance. The individual may be in different stages (stimulatory or withdrawal) simultaneously for different substances. These stages may overlap and interfere with attempts to observe cause-and-effect relationships. Adaptation may mask some symptoms or effects while other physiological alterations may continue. This entry was posted on Thursday, August 2nd, 2012 at 8:43 pm	and tagged with chemical safety, film makeup, learn sfx makeup, makeup artist, makeup books, Makeup Effects, Makeup FX, makeup safety, mold making, mouldmaking, occupational health and safety, prosthetics, sfx, special effects safety, special fx and posted in Life, the universe and everything..., THE BUSINESS OF MAKEUP FX. You can follow any responses to this entry through the RSS 2.0 feed. Does your state recognize Multiple Chemical Sensitivity?